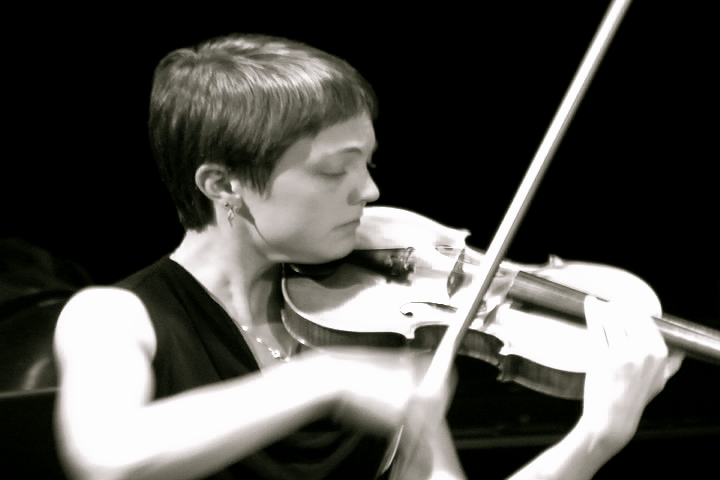 Megan Atchley is a New York based violinist dedicated to creating musical experiences that resonate with her audiences aesthetically, politically and bodily. As a solo recitalist, chamber and orchestral musician, she performs a wide array of styles from classical to jazz in venues such as Lincoln Center, the Bowery Ballroom and Le Poisson Rouge. Megan values a diverse approach to programming – her solo repertoire includes music by major contemporary figures such as Kaija Saariaho and György Kurtag, as well as works by Bartok, Prokofiev, Gershwin and Bach, among others. As a founding member of trio Project Emme, and a frequent performer with various new music ensembles including Wordless Music Orchestra, ShoutHouse and the Firey Strings Company, Megan has had the opportunity to collaborate with a wide range of contemporary composers. A committed music educator, Megan founded and directs the afterschool violin program at Girls Prep Middle School in NYC. In addition to a robust private studio, Megan holds faculty positions with Inter-School Orchestras and the Third Street Music School Settlement. As a scholar and passionate feminist, Megan presented a lecture-recital at the 2011 Feminist Theory and Music Conference on the work of Kaija Saariaho. Megan’s credits as a recording artist include releases on Deutsche Grammophon and ShoutHouse. She holds degrees from NYU Steinhardt and Ithaca College.